Back in 2013, Bishop Sutton won promotion to the Southern League but unable to make their ground comply to league requirements had to forego the promotion. 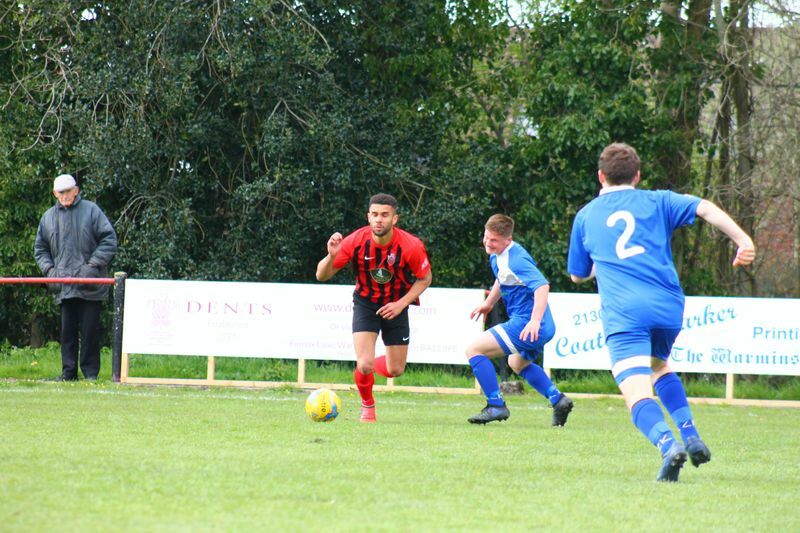 They are now four places from the bottom of division one and fighting off relegation, so the match was likely to be a tough one for Warminster seeking their tenth consecutive home win. Warminster got off to a slow start. Chances for both sides were very limited with Bishop Sutton having better opportunities. The first half saw just one goal which was scored by the visitors in the 35th minute and made easy on this occasion by The Red & Blacks. 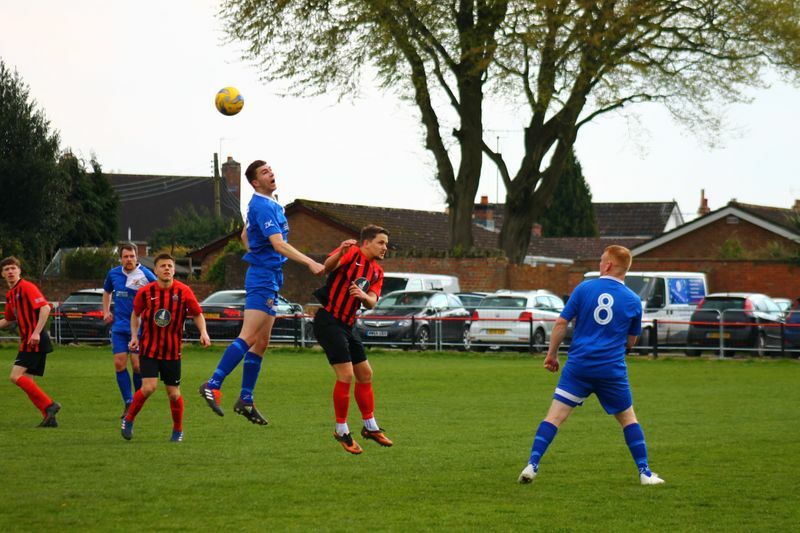 The second half saw a much-improved performance by Warminster and the game ended with a dramatic finish at 2 - 2. The first half can only be described as poor from The Town's point of view and the excellent crowd of 131 somewhat disappointed. 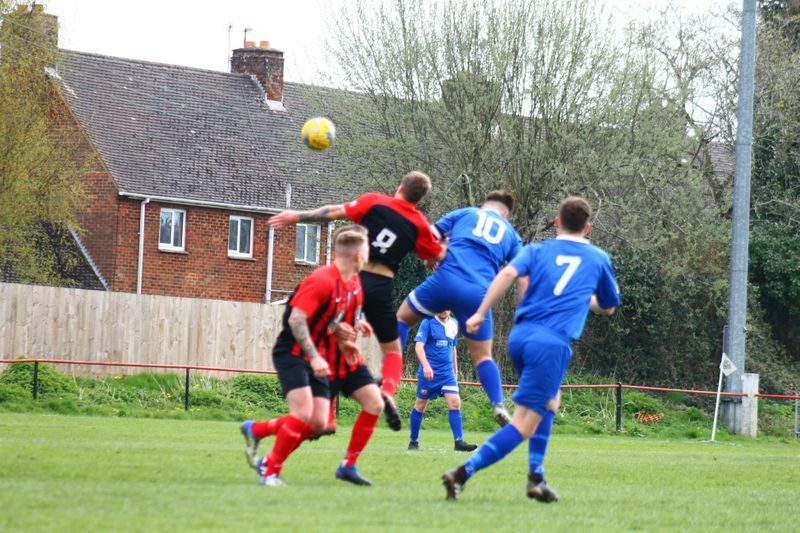 However, the second half saw Warminster moving the ball much quicker and they created a super opportunity in the first 60 seconds which saw George Butler hit the side netting after shooting from a cross following a free kick from the right. Stewart Lisowski went close 10 minutes into this half when his shot hit the lower half of the crossbar bounced back into play and was knocked out for a corner. The first goal came two minutes later, the 57th minute when George Butler crossed in from the left and Martin Johnson tapped the ball over the line, scoring for the second week running. Four minutes later (61) a long ball from Jordan Silva found Jack MIluk who fired home into the corner of goal beating Thomas Fraser in The Bishops goal. Warminster Town were now in the ascendancy and looking to get a third goal. With just two minutes of normal time remaining Jack Miluk stole the ball off a Bishops defender on the edge of the 18-yard line, laying it on for George Butler whose shot was very well saved by Fraser. The keeper released the ball which led to a counter attack and the Bishops came close to scoring were it not for some excellent defending which produced a corner for the visitors. From that corner, goalmouth pressure by Bishop Sutton resulted in a tackle by the home side giving away a soft penalty which now was in additional time making it 2 -2. "A disappointing first half where we didn't get out of first gear and went in a goal down at the interval. The second half was much better with goals from Martin and Jack. We had plenty of chances to put the game to bed in the second half but failed to take them with the visitors' keeper making some great saves. Our missed opportunities came back to haunt us in the 90th minute when we conceded a soft penalty. With three games to go, we can still achieve a top-five finish, but we will need to start games at a better tempo for this to happen." 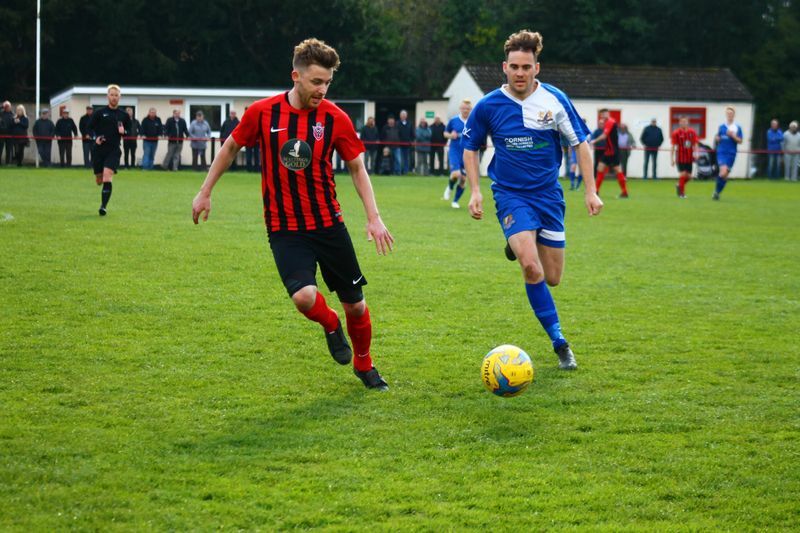 Warminster are at home on Easter Monday when Devizes Town are the opponents and a large bank holiday crowd is expected For children under 16; entry is free.